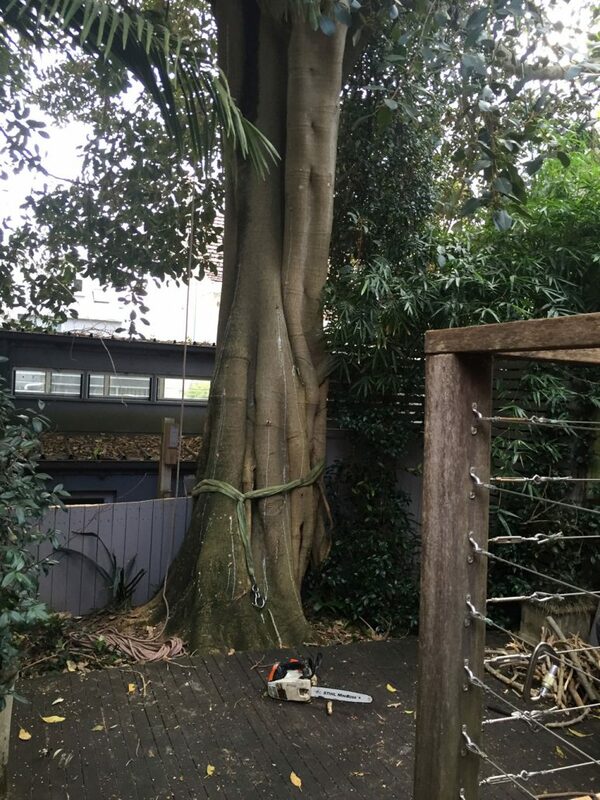 This Morton Bay Fig was so large that its canopy covered 8 properties in the City of Sydney. Although it was a mature tree, the City of Sydney Council gave permission for its removal, as it was a danger to people and property. 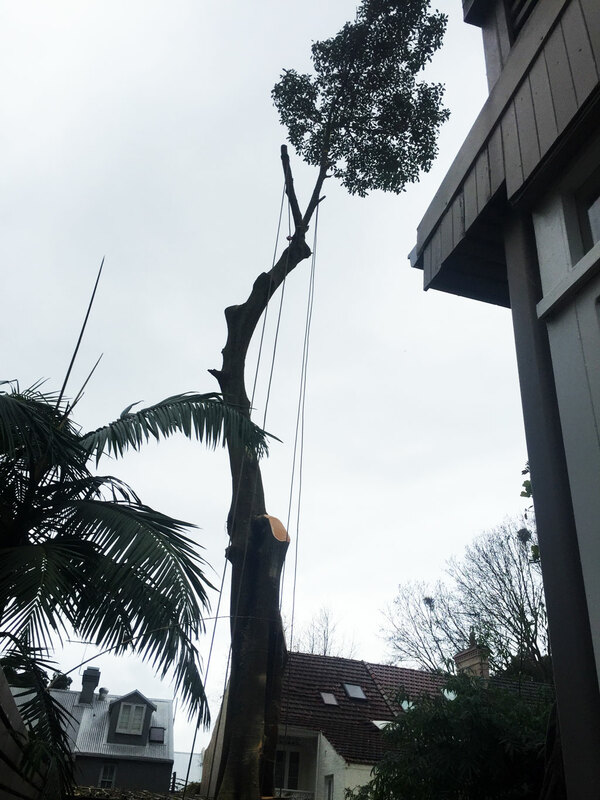 It took two and a half days to dismantle the tree, using only a small courtyard for access. All waste was removed and 8 property owners were delighted with the end result. Look at the size of the tree and the little space we have to land all the branches and logs!! This is going to be a tough job! 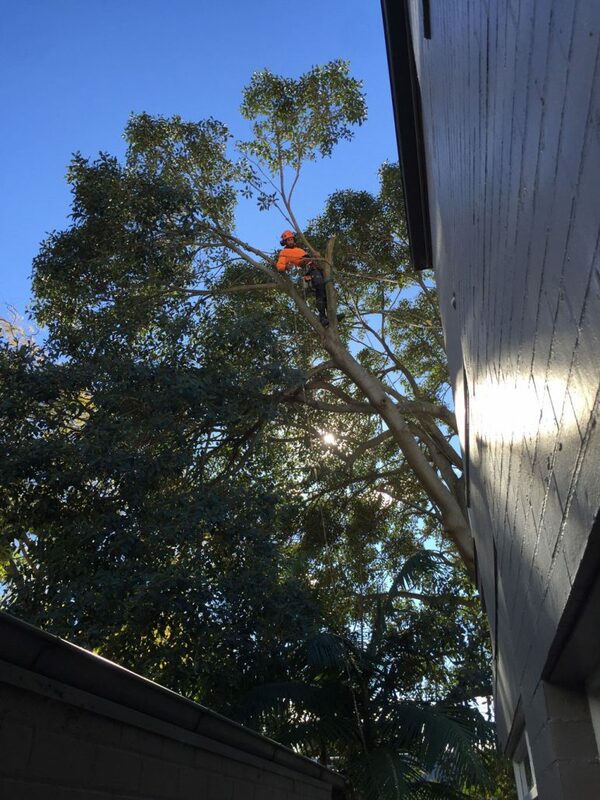 Our professional arborists can take on any challenge. Up they go and get ready to lower the branches one at a time.